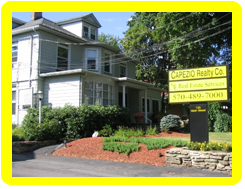 Capezio Realty Co. has been a real estate / appraisal company in Northeast Pennsylvania for over thirty years. Established by Thomas Capezio, the company’s original focus was on residential and commercial sales and leasing. Tom recognized the demand and the need for additional real estate services and acted accordingly. 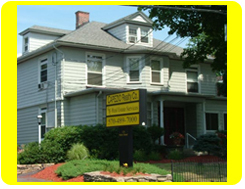 The company focused and expanded appraisal services to his already successful brokerage company and created CRC Real Estate Services. Today, CRC Real Estate Services appraise properties in nine counties in Northeastern Pa. with a staff of Certified Appraisers, covering Residential, Commercial, Land, Farm, Mobile Home and FHA reports, while still maintaining the integrity and success of servicing Sellers and Buyers in the real estate process. The future is hereand holds great rewards. 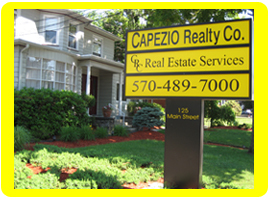 Capezio Realty Co and CRC Real Estate Services are both here for you to assist with all of your real estate needs.